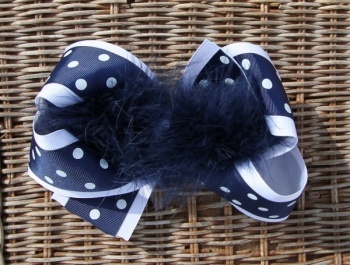 Navy Feather Boa and White Polka Dots! What a great navy combination for all navy lovers! This is a white 2.25" white grosgrain ribbon that is topped with a 1.5" navy grosgrain ribbon that has white polka dots all over. A navy feather boa runs through the center and a white grosgrain ribbon wraps the center. It is attached to a French clip. 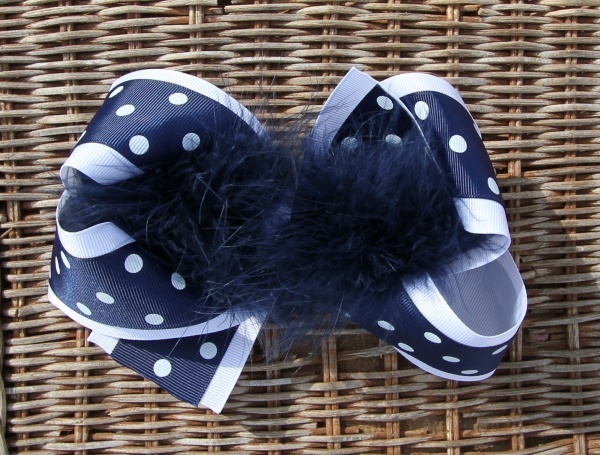 This is 90" of ribbon and a navy feather boa, what a great bow!